After a very long delay, this was the first letterboxed laserdisc release of David Lynch's science fiction epic for the American market. For many years the only way to see the movie in widescreen was the expensive Japanese box set. In early 1997 Universal released a remastered letterbox VHS tape, that unfortunately had a problem with 10 minutes of footage being photographically flipped. The laserdisc was delayed until the end of the year to fix the problem. Originally announced as a THX mastered disc, the finished product does not carry the THX symbol. However it does feature an excellent video transfer for the film and a rocking Dolby Digital 5.1 soundtrack. Theatrical Trailer (quite damaged) on Chapter 41. 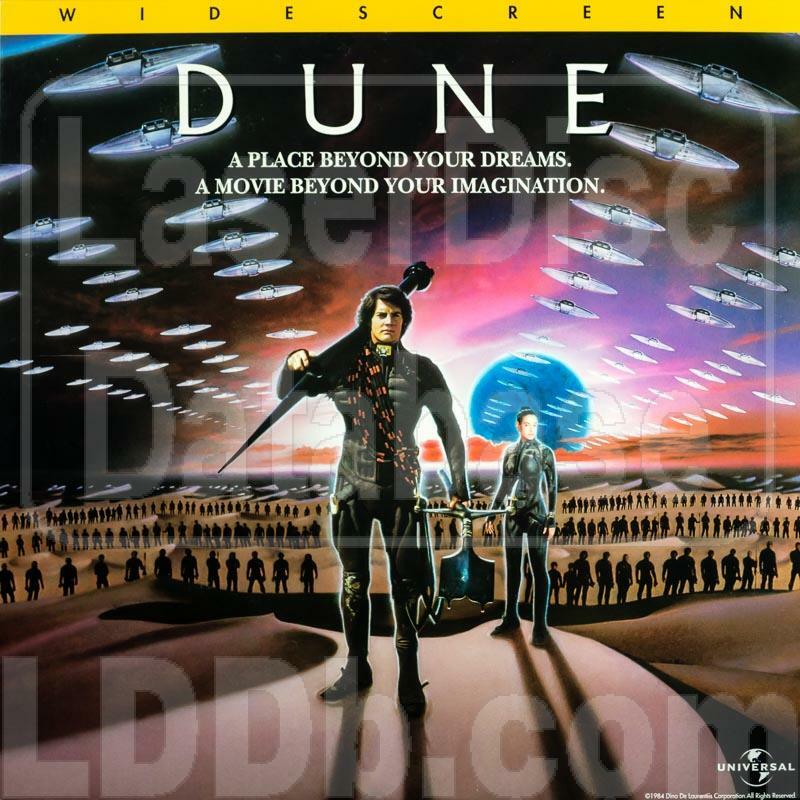 The rather underrated feature DUNE has been issue at least eleven times on the laserdisc format - this is the best version transfer wise as all the others had various issues. 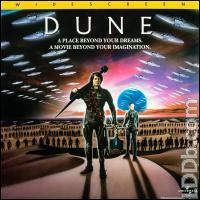 Many were very poor "pan & scan" transfers & DUNE is a movie that should be viewed in the "widescreen" format. Even the very nice UK PAL issue on [LDD 1009] was not in full widescreen as some of the side framing was lost & the transfer, though good, is not as sharp & as fresh looking as this release. Without a doubt this is the best transfer on laserdisc, not as nicely packaged as the UK PAL release LDD1009 or some of the lovely packaged Japanese issues but being in the correct picture ratio plus the superb sound & picture transfer make this the one to have, it would have been nice if it come in a gatefold sleeve though rather than the basic thin card sleeve as issued.